Renowned for its sensational storyline, sparkling Weimar-period setting and the legendary lead performance from its iconic star Louise Brooks, this taboo-breaking, star-making classic returns with a new 2K DCP of the 2009 restoration of Munich Film Museum’s definitive cut, with score by Peer Raben. 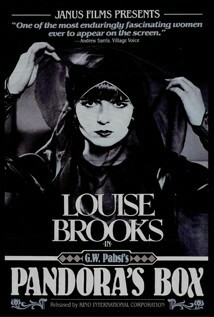 The film follows the rise and fall of Lulu (Louise Brooks), a spirited but innocent showgirl, whose sheer sexual magnetism wreaks havoc on the lives of men and women alike. ‘Pandora’s Box’ was controversial – it features one of the first screen appearances of a lesbian character – and unsuccessful in its day, and then underappreciated for decades. It was only after recognition of Louise Brooks began to grow from the late 1950s, when she was championed by admirers like Henri Langlois, co-founder of the Cinémathèque Francaise, that the film was looked at anew. It now stands as an incredibly modern movie, and few stars of any era dazzle as brightly as Louise Brooks. Her beautiful features, trademark sharply cut, shiny black bobbed hair and extraordinarily charismatic onscreen presence, turned a silent movie actress into a timeless icon of both cinema and style. With Louise Brooks, Fritz Kortner, Francis Lederer. Silent (German title cards with English subtitles).